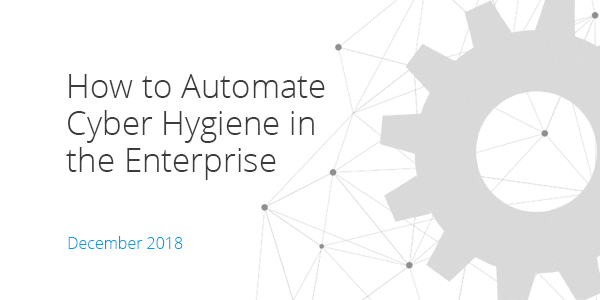 In this webinar Panaseer’s CISO and SVP North America shares his first-hand experience on automating cyber hygiene processes in large enterprises, while our Client Technical Lead, Matthew Silverman presents a case study where the Panaseer Platform helps reduce the time, resources and cost of answering questions about risk exposure. How well can your company rely on time-consuming, incomplete and error-prone security controls assessments? Is having visibility of the control coverage metrics updated once a year sufficient in today’s world? Watch this webinar to find out more about automating the process of identifying the most important security risks and measuring remediation to maintain good Enterprise Cyber Hygiene.